We haven’t forgotten about our non-meat eaters! 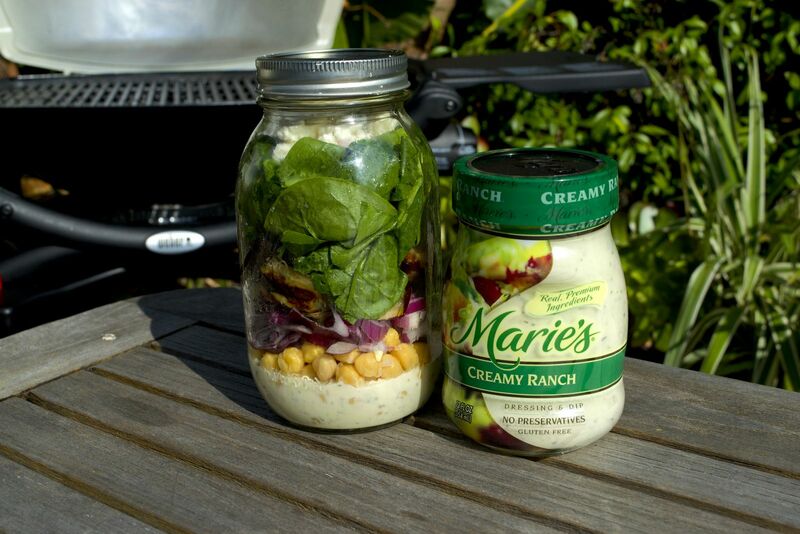 This week’s recipe inspiration shows how you can grill up eggplant to create a mouthwatering mason jar salad. 1. Cut eggplant in half, brush with vegetable oil. One tip is to make sure you slice the eggplant evenly to about ¾ of an inch. 2. Fire up your Weber grill and preheat it for 10-15 minutes. You will be grilling on medium to high direct heat, focusing on temperatures around 425-450F. 3. 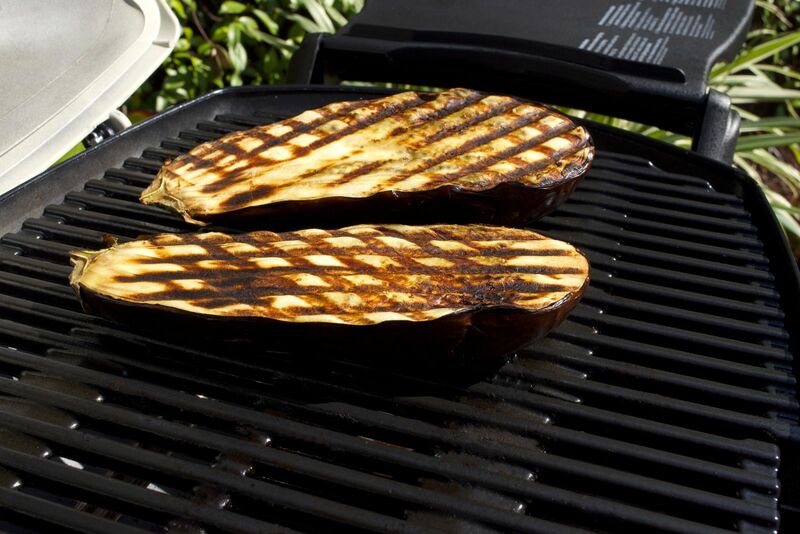 Grill eggplant over direct heat (meaning the food should be grilled directly over the lit burner) for 3-4 minutes per side. 4. Remove the eggplant from the grill, let it rest and then cube and set aside. 5. 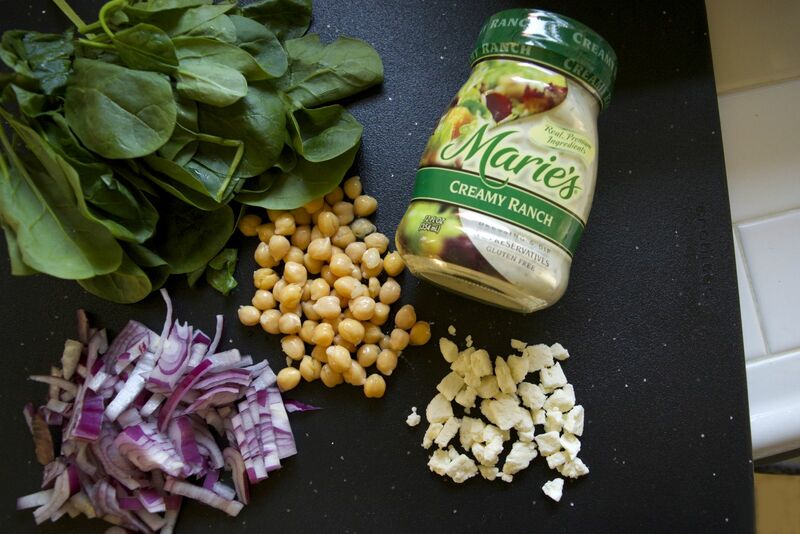 Begin layering the ingredients in your mason jar in the following order: Marie’s Creamy Ranch Dressing, chickpeas, red onion, eggplant, spinach, and feta cheese. Seal jar tightly and refrigerate for up to 5 days. Shake well before serving.